Hard to believe, but the 2015 Land Rover Discovery Sport is now game used car fodder. The Discovery Sport replaced the Land Rover Freelander SUV when it went on sale in 2015, but it's much more than just a replacement for that car; it signalled the widening of the Discovery family, in the same way that has been done with the Range Rover brand. In fact, the Discovery Sport took a lot of design influence from the Range Rover Evoque and previewed the curvy new look of the 2017 Land Rover Discovery proper, i.e. the full-sized one. To confuse things further, the Discovery Sport, like its big brother, can be had with a third row of seating, bringing capacity to seven people on board, but that rearmost pair of seats is quite cramped and best for young teenagers rather than adults. Think of them as for occasional use and they begin to make sense. Especially as none of the Discovery Sport's rivals (such as the Audi Q5, BMW X3, Mercedes-Benz GLC, Lexus NX, Volvo XC60 and in-house rival, Jaguar F-Pace) can be had in this layout. Early examples of the Discovery Sport were powered by a 2.2-litre turbodiesel engine, produced in 150hp (TD4) and 190hp (SD4) guises. This engine was replaced by a new 'Ingenium' powerplant and that's the one to try and get your hands on. Right now, Land Rover offers buyers of the new Discovery Sport a lot of choice, though most use four-wheel drive, as that's what the company's customers have shown they want. The sole front-wheel-drive specification is referred to as 'eD4' and it's powered by a 2.0-litre turbodiesel engine producing 150hp, which is mated with a six-speed manual gearbox. The TD4 version has four-wheel drive and can be had with a 180hp variant of that same engine, as well as the lower powered unit. There's a single petrol engine, called the Si4, solely offered with the nine-speed automatic transmission (also available across the line-up), which is a turbocharged 2.0-litre affair, but good luck finding one of those on the used market. Trim levels are S, SE, HSE and HSE Luxury, though you may find the occasional upgraded car beyond that with a Black Pack or similar. And don't be confused by the 'E-Capability' badge; that just means it's the most efficient one - it's not a hybrid or electric or anything. You'll only find diesels in the classifieds, so that's one decision made for you. Stick with the four-wheel-drive TD4 cars and preferably one with an automatic transmission too, as luxury car buyers won't touch a manual gearbox, in general. It's really not necessary to go for the 180hp engine unless you plan on using the full towing capacity regularly, either, and, if you have a choice, choose the SE or HSE trim levels for a good mix of affordability and on-board equipment. 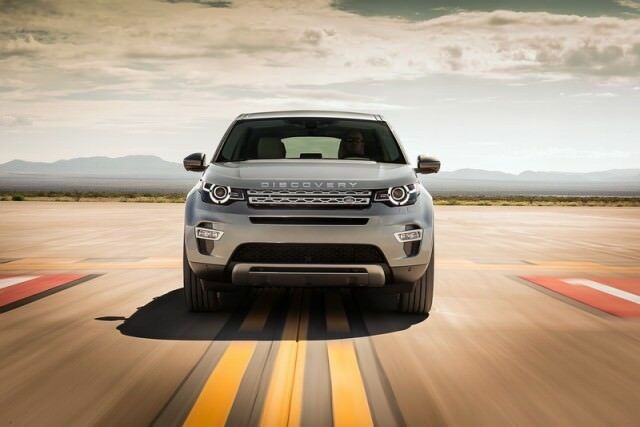 The Discovery Sport is designed to suit the needs of several groups of buyers. On one hand, in four-wheel-drive guise, it's more capable off the beaten track than anything else in the class, so it makes a good workhorse, whether you're a well-heeled farmer, a site foreman or just someone that needs decent towing capability over less than perfect terrain. And yet, the Discovery Sport also plays the part of family car very well, with a spacious and well thought out cabin and the option of two extra seats. Finally, it offers buyers of premium SUVs an alternative to the seemingly default options from Germany.